I recently walked by a wall that had a mural painted on it. I had my camera with me and decided to take a few pictures. A funny thing happened while I was photographing. I realized that I was not taking pictures of the mural itself, at least not in the sense of taking a picture that would show someone what the mural looked like. 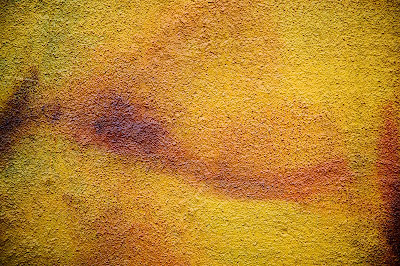 Rather, I found myself making abstract photographs of little sections of the mural....smears of paint, lines, twirls of color. When I got home and started looking at the images, I really liked what I saw. I was intrigued that there could be so many beautiful pictures within another piece of art that were never purposefully put there to stand alone. As in the image below, there was a bit of glare in the photos because of the time of day I happened to be passing by the wall. I plan to go back at a different time of day and take some more photos in better conditions and to also try to do some of this type of photographing when I pass other murals or graffiti. I actually think this would make a nice little project of its own!